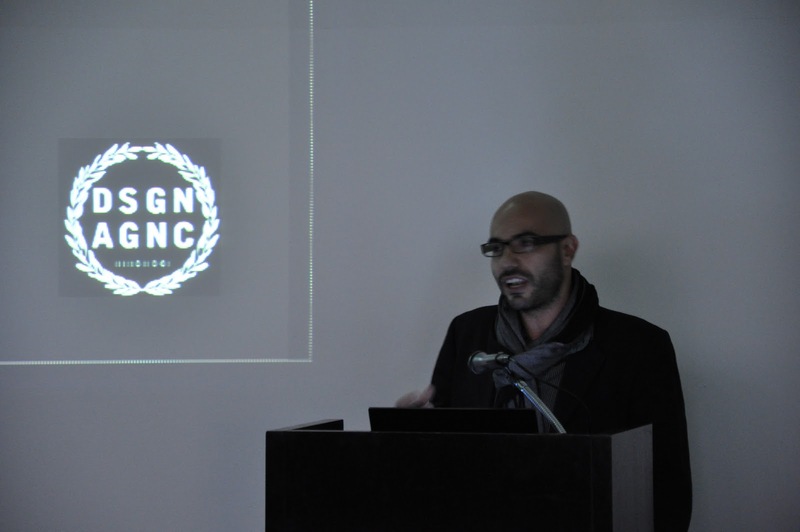 Quilian Riano is the founding principal of DSGN AGNC (Design Agency), a research and design practice that operates through critical activism. He also founded the project #whOWNSpace. His current research focuses on the implementation of flexible and hybrid designs within challenging, multi-layered contexts. He seeks to re-imagine the structure and scope of design process. Polis recently sat down with Quilian to discuss the role of critical activism in his work and that of other innovative design practices. You’ve described your interests as rooted in expanding the role of design and the designer in larger social and political contexts. What distinctions do you make between "design" and "activist design?" What kind of value is generated in activist design that makes it a necessary mode of practice? Let me be specific about what that means. 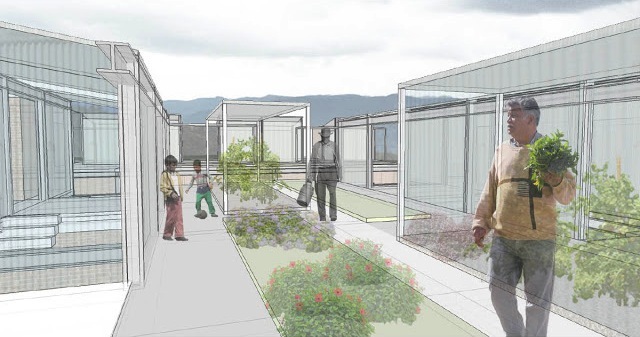 In Facatativa, Colombia, we are working with La Union Housing Co-Op on the design of 50 houses. Through research and conversations in the community, we found that the case involved not just those 50 houses but also widespread privatization around the Facatativa's periphery. We learned that a global network driven by the flower industry and companies that produce greenhouses has been privatizing large sections of the city. These complex economic and political processes are just as integral to the project's context as the landscape around the 50 houses. In response, we've organized a variety of design interventions — workshops, posters, movies, etc. — that highlight these conditions and create tools to help the local community influence them. As for design, we're identifying the players and actions needed to create a longterm plan for the wellbeing of the community. 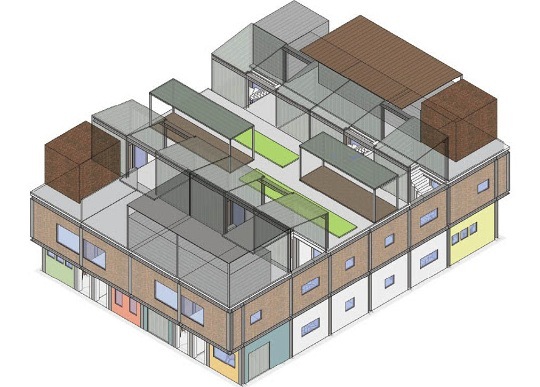 We're designing adaptable housing within a solid framework, which residents can improve upon over time. With the help of a local lawyer and politician, we're looking to intervene in the system through which Colombia subsidizes public housing. We plan to help collectivize loans both for housing and for small business that could occupy flexible space within each building. You began writing about "critical activism" in your thesis at the Harvard Graduate School of Design in 2008. How has your understanding of the term evolved, and what are its key elements today? Critical activism in design practice involves continuously assessing the political landscape of each project and working with vulnerable populations to remove injustices and resolve problems that threaten their wellbeing. Since leaving the GSD, I have been working with urban activists to fine-tune the concept in theory and practice. We've been particularly inspired by the critique, ideas and action associated with socio-praxis. We're also interested in relational aesthetics, tactical media, gizmology and radical cartography. Many socio-praxis groups are questioning the role of the designer and artist in a society with decentralized and complex power structures. To understand this, it is helpful to think about the differences between the protests in Egypt and Occupy Wall Street. In Egypt it was clear that there was a space — Tahrir Square — where protests would take place, and a person — Hosni Mubarak — who people would protest against. In the United States it is not as simple. The Occupy Wall Street movement is relegated to occupying a symbol, as many of the banks are no longer on Wall Street. However, would the movement be as effective if it was called Occupy Midtown Banks? Probably not. It is also curious that the occupation is not happening in Washington, D.C. There is a tacit understanding that D.C. no longer has all the power. Our decentralized government and power structure have created a situation in which we no longer know who to protest against. So we are left with the symbol. In this context, the designer can become an activist when he or she engages the complexity of our political and economic system to begin to create some clarity. This approach is particularly important when looking at the city. So critical activism is about finding complex socio-political urban systems, researching them fully, producing maps and other visual tools, and then intervening strategically. Critical activism is a way to apply real design thinking — not just exercises from the Ivory Tower — toward empowering marginalized communities. How did DSGN AGNC and #whOWNSpace come about, and what vision do you have for their future development? We started DSGN AGNC as a way of exploring critical activism. The first action I took with DSGN AGNC was a trip to Colombia. This led to "A City in Search of Good Fortune," an article for Places Journal on Buenaventura, one of the most contested and militarized urban areas in Colombia. We also met with the group of 50 families that make up La Union in Facatativa. In both cities we were struck by the privatization and lack of public space around the peripheries. In Facatativa, for example, people had to use the parking lot of Carrefour, a French mega-store, for celebrations and other gatherings. 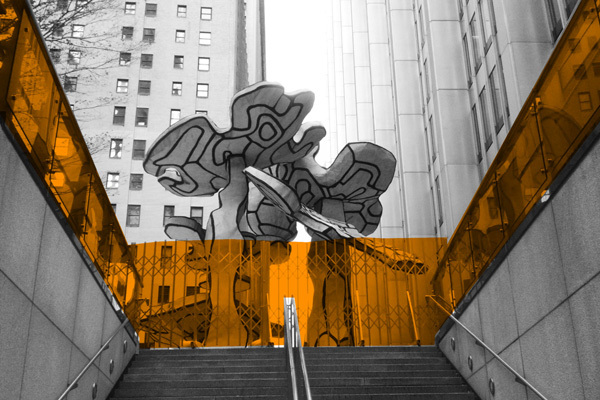 When the Wall Street occupation began, a large part of the story was the physical space — Zuccotti Park — and its status as a Privately-Owned Public Space (POPS). Through #whOWNSpace, which was inspired by Occupy Wall Street, we wanted to better understand how privatization has changed the city. Through our research we've found that POPS are often not as public as they should be according to established legal guidelines. 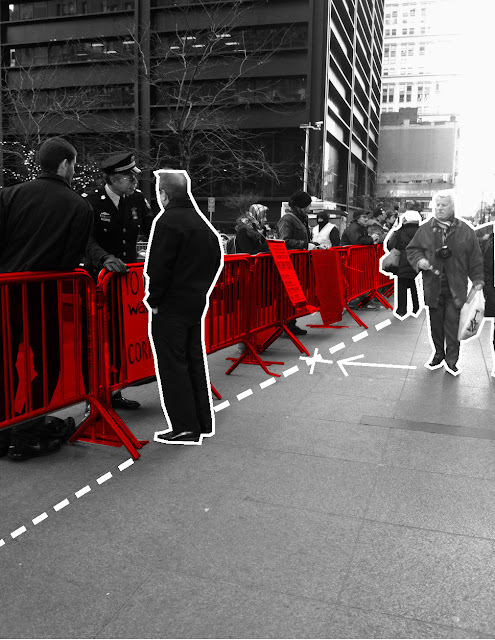 At 60 Wall Street, a POPS located down the street from Zuccotti Park, there is a rule that says "no excessive use of space." These are the type of things we need to question. How public are these spaces, what type of rules are being enforced and are they legal? 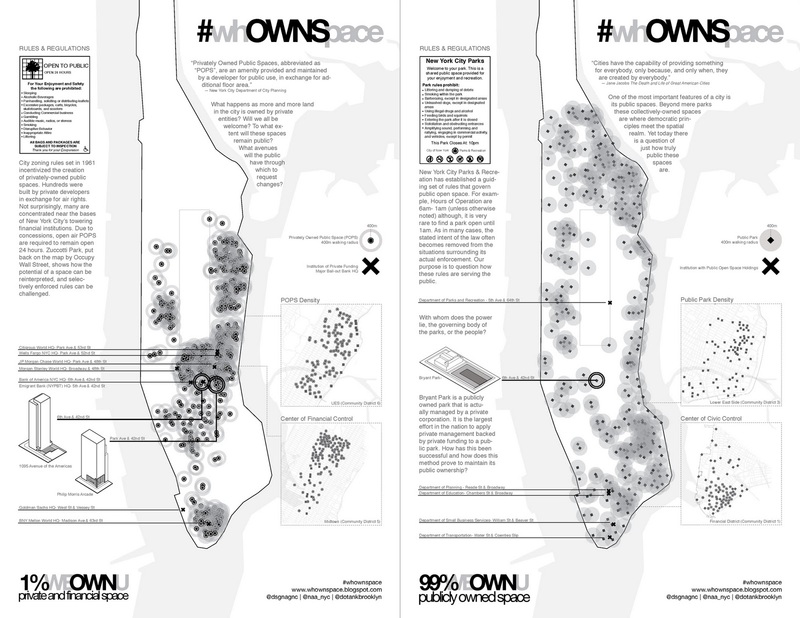 Ultimately, we see #whOWNSpace as a way to advocate for and produce urban spaces that are truly public. To us this means that space accommodates multiple uses, encouraging people to talk to their neighbors and find mutual understanding around political, economic and social issues — crucial preparation for collective action when needed. Working on international projects, it can be easy to fall into the stereotypical role of self-ordained savior of the poor, present for a period of time, after which it is difficult to follow up and assure sustainable results. How do you approach design projects in other parts of the world when it is so challenging to gain a thorough understanding of the local context and enact meaningful, longterm change? This is a hard question, but one that is important to address if the renewed interest in this type of work is to be sustainable — and, by the way, we do not claim to have THE answer. An approach that has been working for us is a combination of being there as much as possible, doing a lot of critical research, having strong partners on the ground and getting input from final users during the entire process. 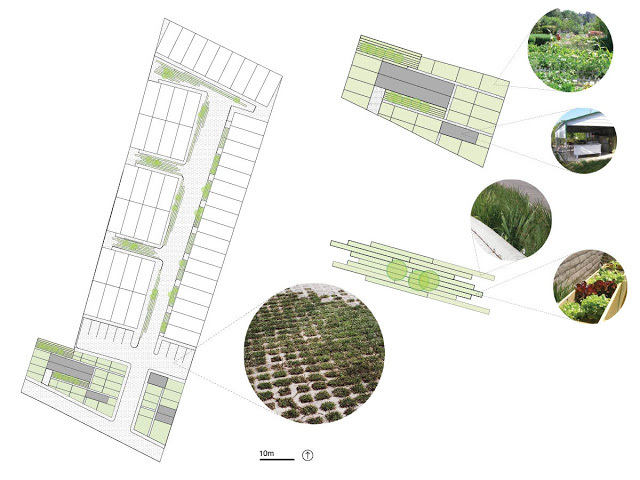 We also work to create designs that can be modified over time as community and ecological conditions change. Above all, it's about showing respect for the community you work with (in any location), understanding that you can't possibly have all the answers and bringing as many people into the process as possible. 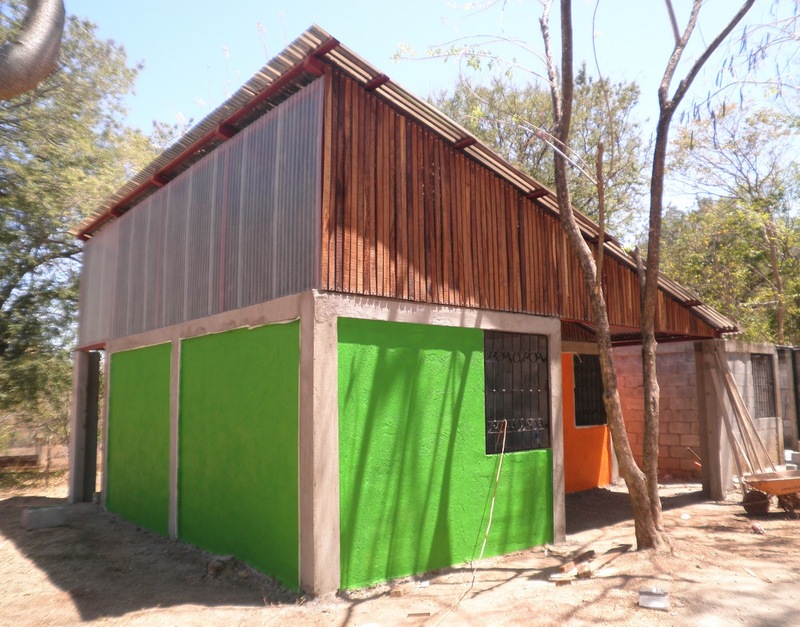 The project for a housing community in La Prusia, Nicaragua, has worked this way in collaboration with Estudio Teddy Cruz, landscape architect Simon Bussiere and the community group Casas de la Esperanza (Houses of Hope). We began with a series of visits that led to a simple, rule-based, flexible masterplan. We have since worked with local architects, community groups and residents to apply these rules according to conditions on the ground. The community has built 10 houses using our flexible masterplan and will build more as additional funds become available. Who are some of the people and organizations whose work you admire? There are many artists and architects experimenting with socio-praxis and political activism that I admire. Inspiring design practices include Recetas Urbanas, Not An Alternative, Jeanne Van Heeswijk, Estudio Teddy Cruz, Sorkin Studio and Cohabitation Strategies. Immigrant Movement International, commissioned by the Queens Museum of Art, is redefining the role of museums in urban neighborhoods. There are also community groups like CAAAV, Picture the Homeless and Organizing for Occupation, which for many years have been doing the hard work of organizing communities for action. These initiatives give us confidence in the effectiveness of integrating critical activism and design to bring about positive social change. Very impressive. How do you earn a living doing these kinds of very important but usually not lucrative projects? In a better world this would be where the money is. I like the way these projects bring together not only architectural design and political activism, but also multimedia design. It looks like media and information technology serve as integral tools in each of these projects. a fully cross-disciplinary and contemporary approach. Great interview! I noticed in the brief about the Facatativa housing design on the DSGN AGNC site that business and community space would be located on the third floor roof. I'm wondering what the advantages are of placing it there instead of at street level. It would seem difficult for many businesses to survive if they aren't as accessible to the public as possible, and street life could also benefit from diverse local businesses and community space. Really nice & interesting interview! Thanks for sharing!